Creating a unique vocabulary for perimeter security where every letter in the alphabet is covered has certainly been proving a challenge and has brought with it a few surprises. 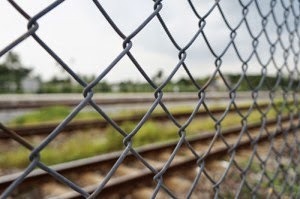 When we originally had the idea back in 2015 we honestly thought it might have its limitations - after all, perimeter security is not the most dynamic of subjects! However, we are delighted that since our first post in September 2015 entitled A-Z Of Perimeter Security which covered the letter A, we have been able to feature a wide and really interesting range of subjects. Continuing on from that, today we turn to the letter N.
The National Trust - the UK's biggest conservation organisation with around 350 heritage properties. 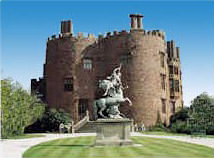 At one of their historic properties in Wales, 13th century Powys Castle, our Flexiguard™ system was installed outdoors to provide statue security. The castle gardens have a number of valuable statues that needed protecting against damage/theft and we came up with a bespoke design just for this one site. Follow the link to read more on what we devised. National Grid - owner and operator of the National Grid high voltage electricity transmission network in England and Wales is at the opposite end of the scale to historic sites, but every bit as important when it comes to having effective perimeter security in place. Still drawing from our customer base we have Dutch Rail in the Netherlands for whom we solved a particularly frustrating security problem by installing our perimeter detection cable system. You can read the case study here (English) and here (Nederlands). So whether it's national or international, Advanced Perimeter Systems Ltd has it covered!